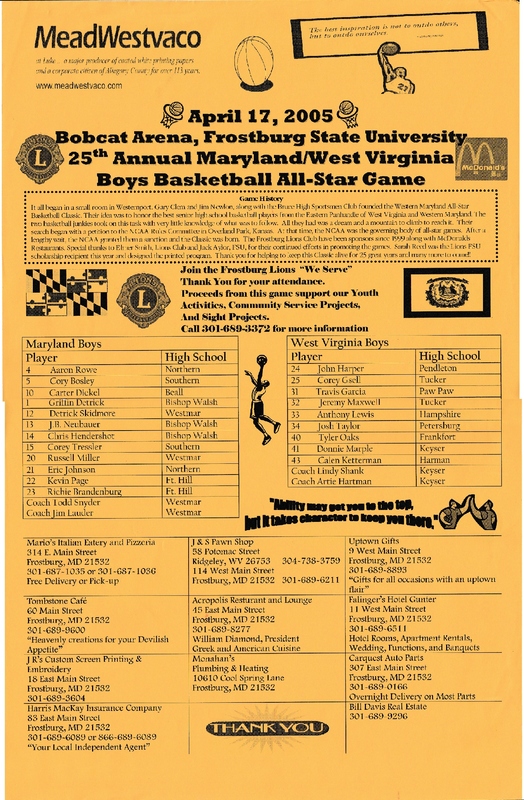 Western Maryland All-Star Basketball Classic. a sanction and the Classic was born. Dapper Dan Roundball Classic was the brainchild of Sonny Yacarro, a basketball guru and promoter. both boys and girls in the same event. Ohio. 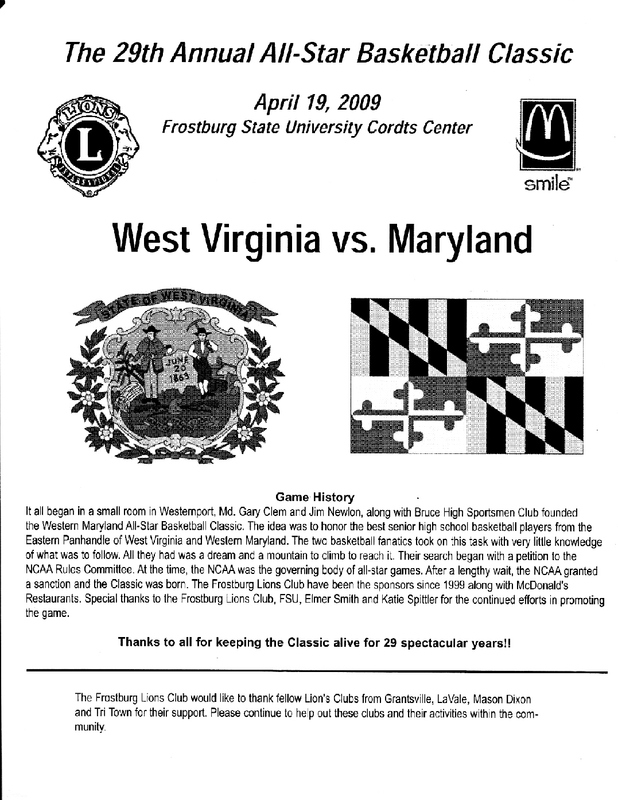 It was a small scale game which attracted junior college and Division II and III prospects. 85 score. 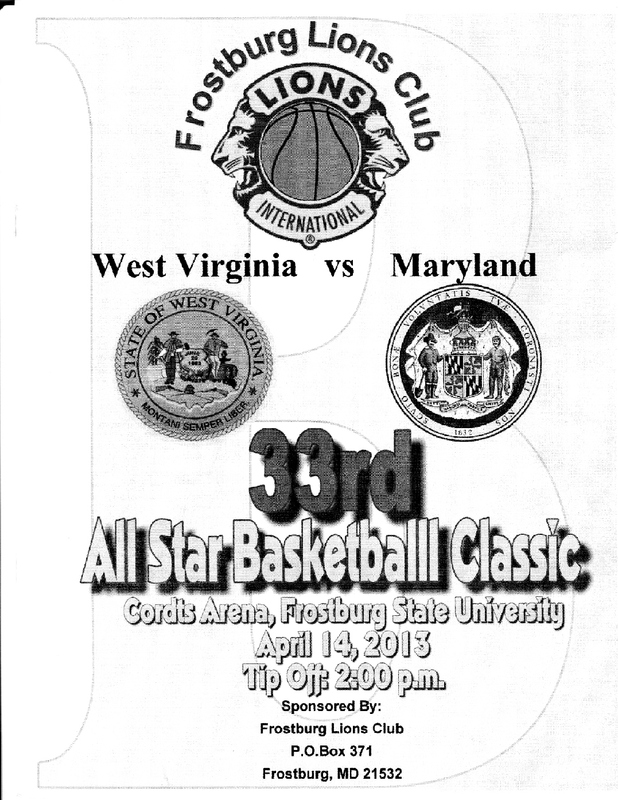 However, the West Virginia Girls took their first game, 56-54. 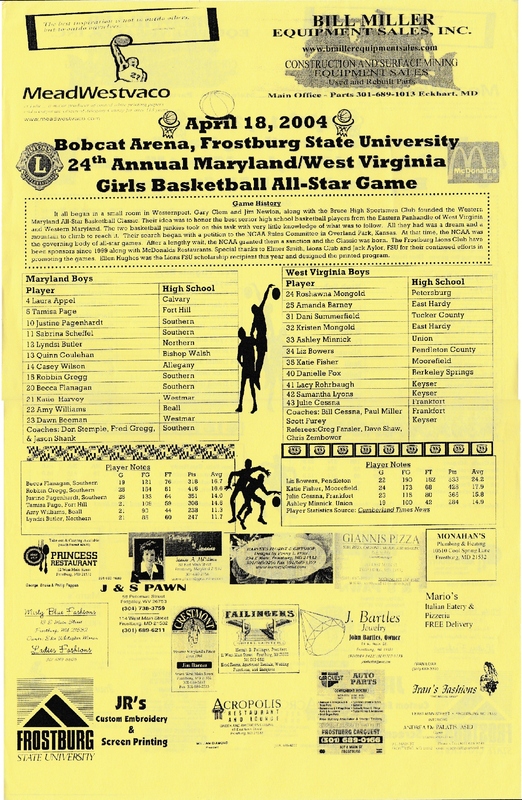 Throughout the years, the girls' game has been as competitive, if not more so, than the boys' contest. Chicago White Sox in the sixth round in 1989.
later played for Gale Catlett at West Virginia University. 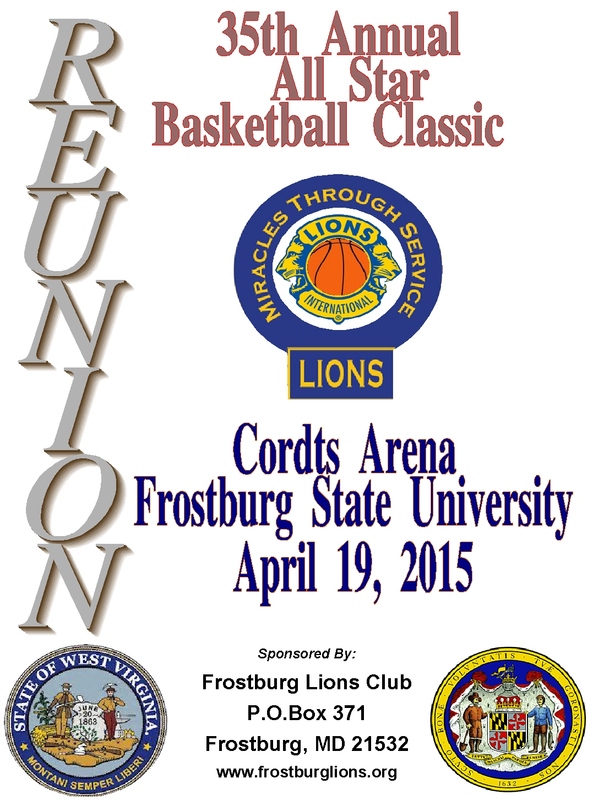 who played on that record setting team in 1985, became a Tiger at Towson State University. recognized coaches in women's basketball, at the University of Maryland. 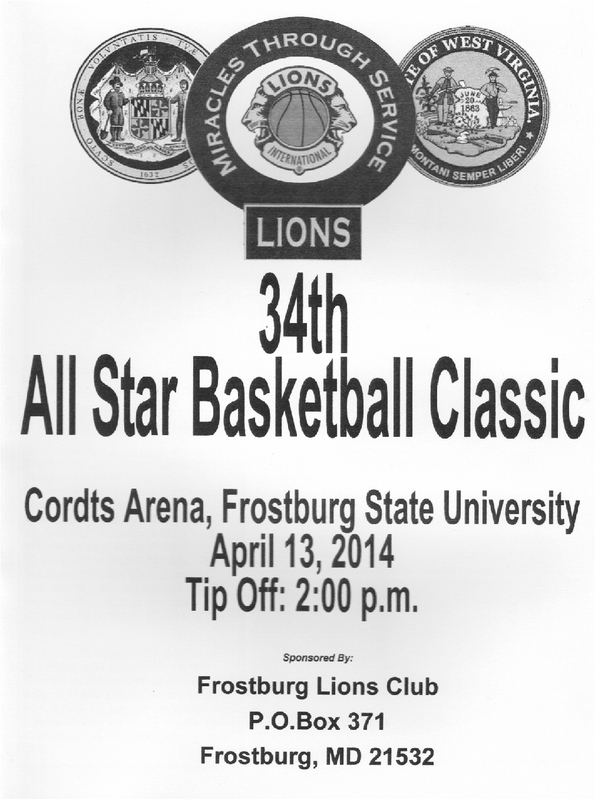 School Gymnasium and then moved to Frostburg State University Cordt’s Arena, site of today's games. 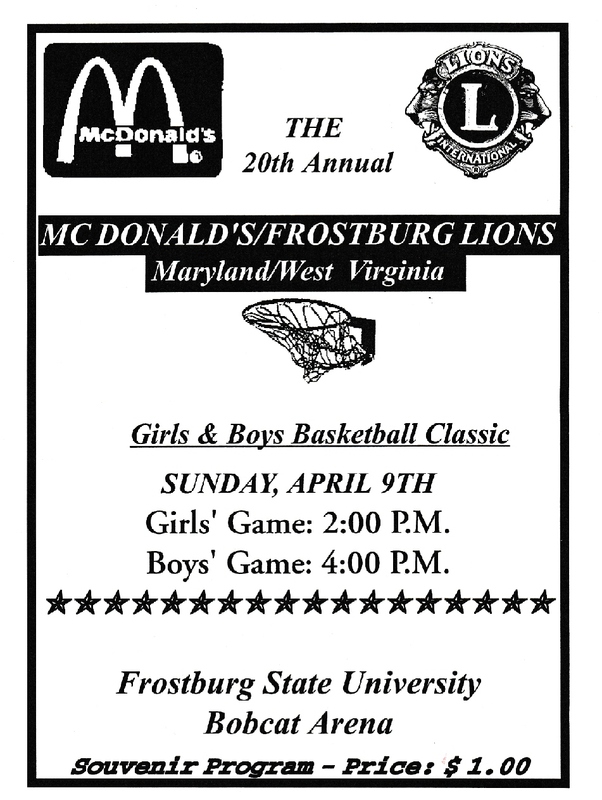 Frostburg Lions Club, host and promoter of the Classic. 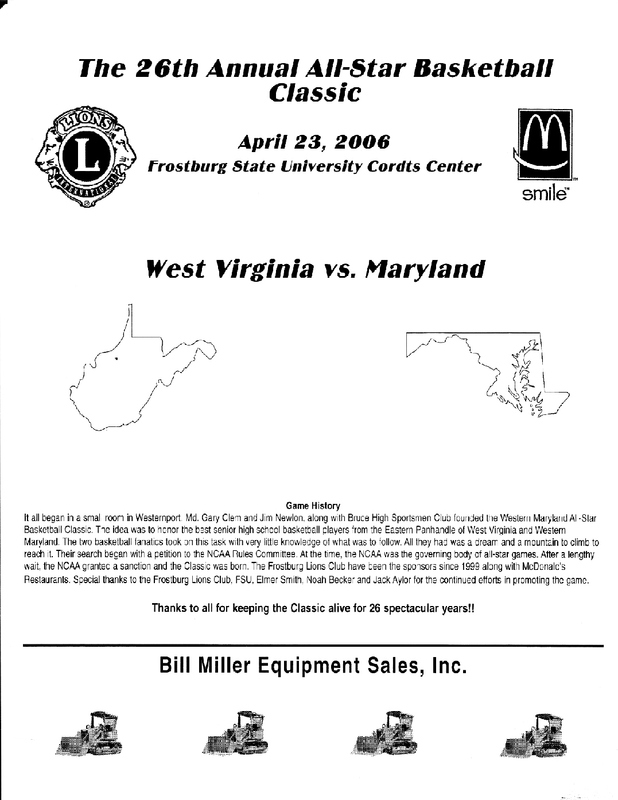 Home Improvements of Cumberland, MD, became the official corporate sponsor of the Classic. 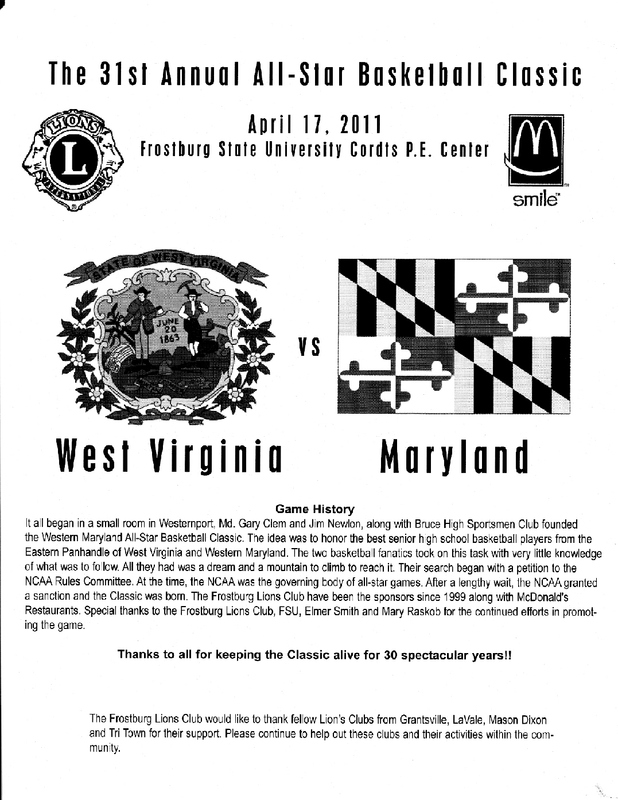 Langham from Westmar and Ryan Ralqt from Beall were co-MVPs for Maryland. 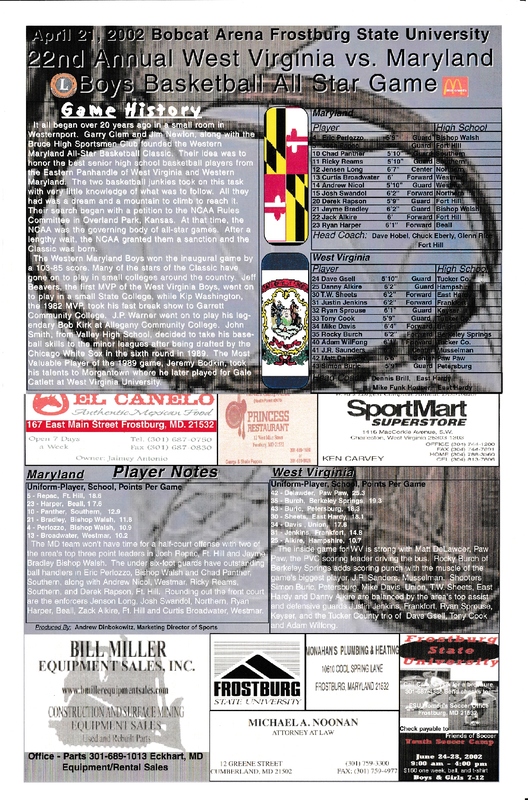 of Northern shared Maryland MVP honors. 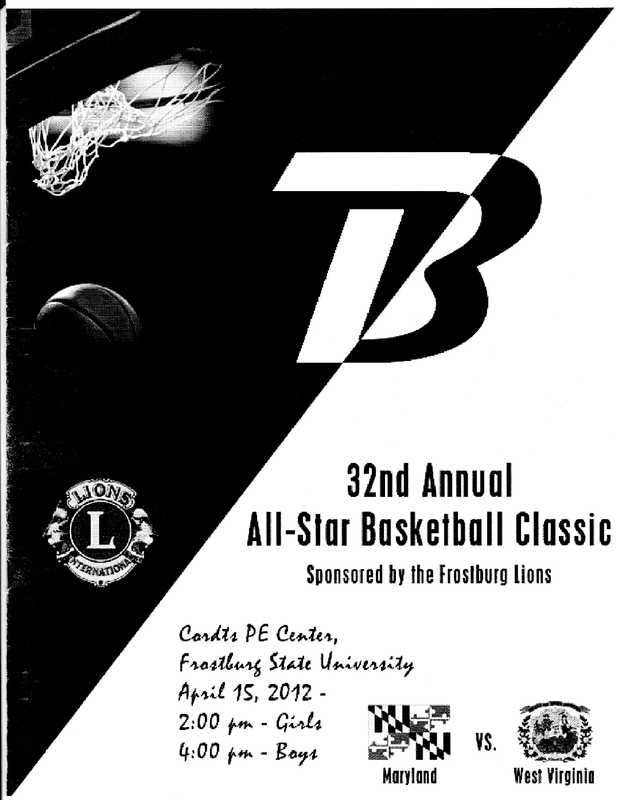 Heidi Welch and Emillee Bosley shared MVP honors. 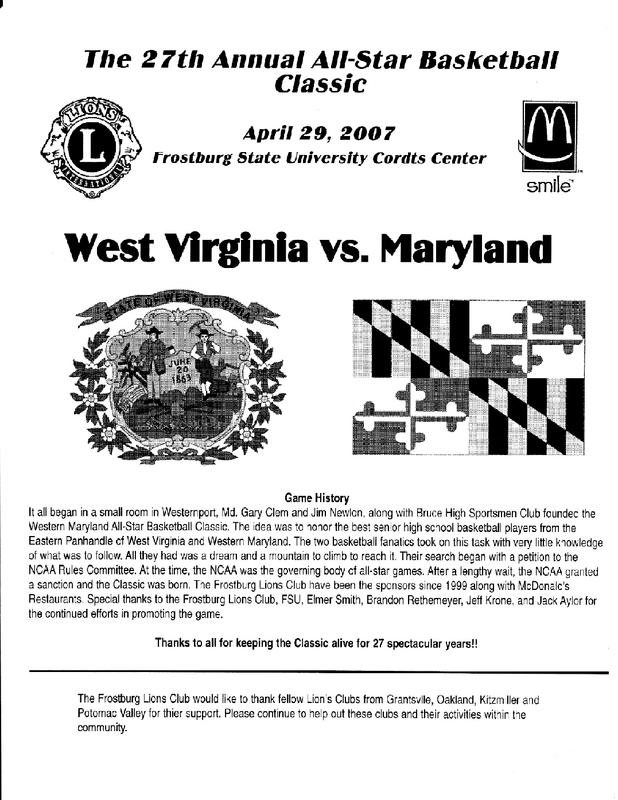 Maryland squad with 16 points. 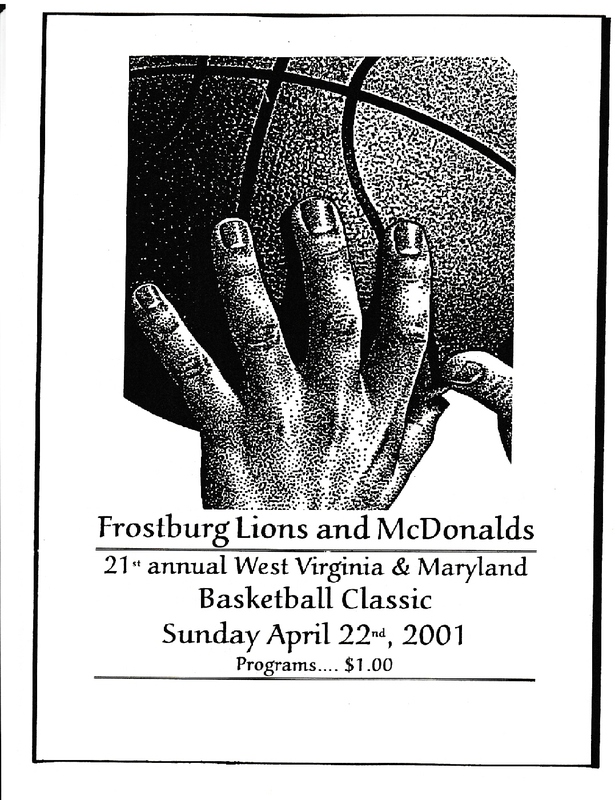 of the great spectacles in Western Maryland Sports.